So far this November I have already made three visits to the site and, despite seeing plenty of the other high-altitude loving redstart – Guldenstadt’s – I have not seen any Przewalski’s. Was it a late migrant? Or was the occurrence of the pair last winter really a one-off? I was beginning to wonder…. Here is a photo from last year as a reminder of just how stunning is this spectacular species. Big congratulations to Breght for finding the Przewalski’s and huge thanks for passing on the news. 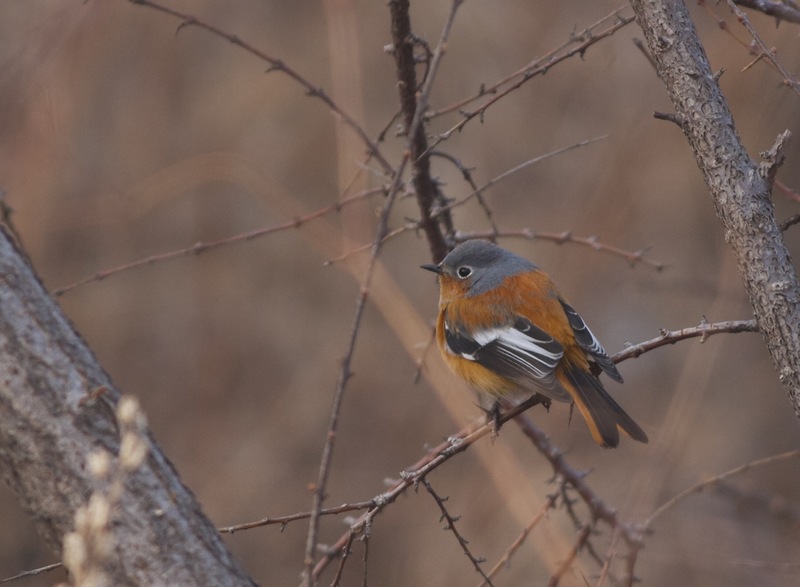 Male PRZEVALSKI’S REDSTART at Lingshan, Sunday 23 February 2014.